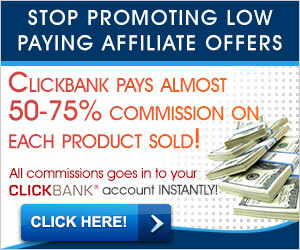 I’ve always wanted to make passive income online, but had no idea how to do it. So, like any good student, I started searching the internet for many hours a day, and began to gather all the information I could. I amassed tons of data, and truly enjoyed the search. But then, one day the obvious hit me smack between the eyes: Instead of actually making any money, my job had turned into learning how to make money. I was spending all my time being a student, and zero time building profitable campaigns. I had slowly turned into a bad example of how to make passive income online. With of all the amazing information available to me, I screwed it up. Why wasn’t I able to turn all my information into action? I will spare you the ugly details. It all boils down to this: there is so much information available online that brain freeze took over. I didn’t know where to start, so I started everywhere. I didn’t know what I really needed, so I got anything that looked good. I thought I was doing the right thing by getting a lot of information and trying to digest everything. I started looking for the magic bullet, killer course which would turn my internet marketing life around, and help me make passive income online. I purchased many highly promoted courses and eBooks which I thought would jump starting my career. Some of those courses were fairly good. But frankly, buying so much of it was a waste of time and money. It didn’t help me move into action because I had no central plan or guidance. Pretty soon I was on everyone’s opt-in email list, and my in-box was so stuffed, I’d spend all day going through it instead of taking any real action myself. It was easy to fool myself into thinking I was doing something valuable. But, all I really was doing is getting better at filing away an ever growing email and PDF collection of stuff to look at later. Result? I stayed scattered and unfocused, and my plan to make passive income online crumbled. Does that sound familiar? I know it happens to a lot of us early in our internet careers. I had no idea how much help and hand holding I’d need. I needed to find a systematic and efficient way to take action on all the tasks which needed to be done to make passive income online. I finally stopped spinning my wheels and drowning in data when I connected with a community of dedicated internet marketers who helped me organized and focused.